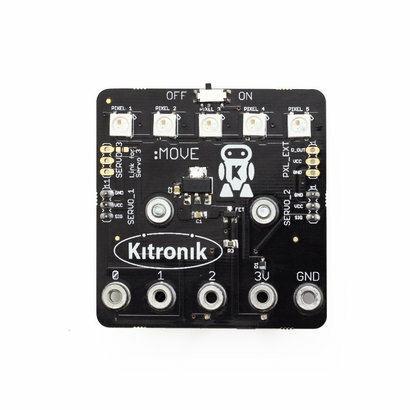 The Servo:Lite board for the BBC micro:bit is a simple board that allows you to easily connect and control low power servo motors (servo's must be capable of operating at 3.3V) using the BBC micro:bit. It is connected to the micro:bit using five bolts. Connect two servos in standard configuration and it can drive up to 3 servos if the addressable 'ZIP' LEDs arent needed. We've produced a range of tutorials and guides that can be found in the resources section below. 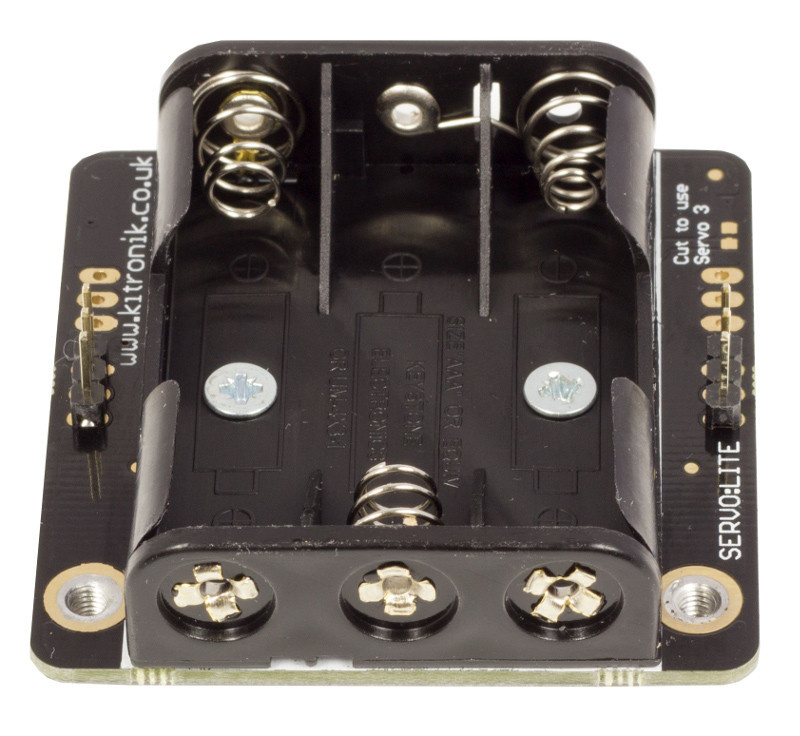 We have guides detailing; how to control a third servo and how to write code for the on-board ZIP LEDs. Connect two servos in standard con?guration and can drive up to 3 servos if the addressable 'ZIP' LEDs arent needed. 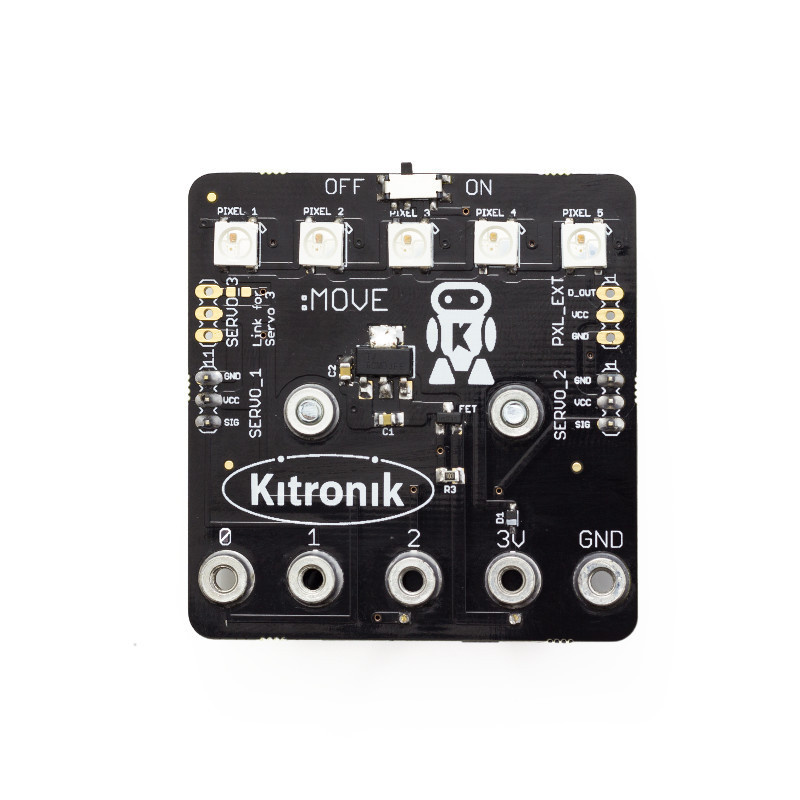 Kitronik Custom MakeCode Editor Servo Blocks (Use this URL to add them to the Editor). 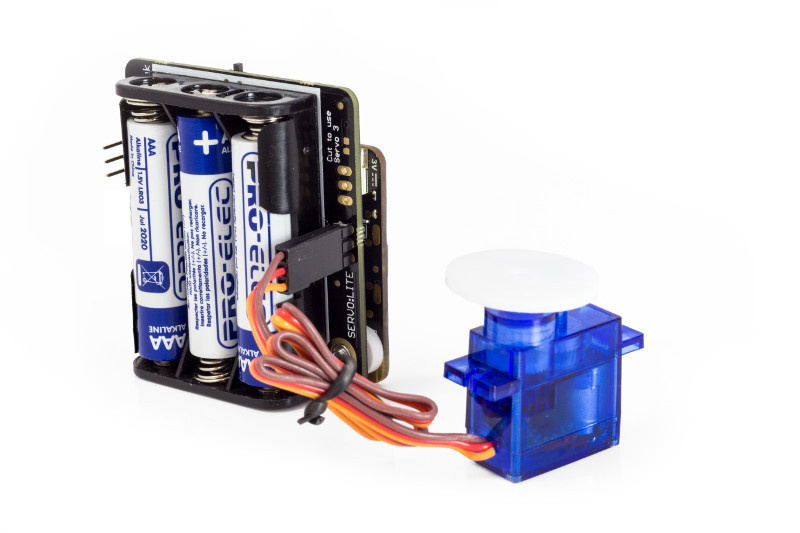 Once the Servo:Lite board is attached to the microbit there is a maximum clearance of 6mm for the plastic sheath of the USB cable.